More and more blogs are being created each day from individuals hoping to start a new hobby, create a new business, or share their opinion on fashion, politics, pop culture, etc. The list goes on and on as to why people want to start blogging, but one thing remains the same – choosing the right platform is extremely important. Below are the pros and cons of using three of the most popular options before you start your blog! Affordable – buying hosting and a domain for your site through sites like GoDaddy, A Small Orange, or Bluehost is relatively cheap (and keep an eye out for coupon codes). Plugins galore. WordPress has an extensive library full of plugins and widgets that can help you with SEO, social media, newsletters, and so much more! If you hire a designer to create your site (which I recommend), it’s easy to maintain your site after they’re done. It’s a bit confusing for newbies to learn the difference between WordPress.com (a free blog) and WordPress.org (buying a domain and hosting through a hosting company). The free option has less capabilities and functions, and paying for WordPress allows you complete customization for your site. Prone to errors – be prepared for hosting and server downtimes, spam, possible site glitches, etc. Land onto Squarespace.com, and you’re surrounded with beautiful, rich images of easy-to-use templates. 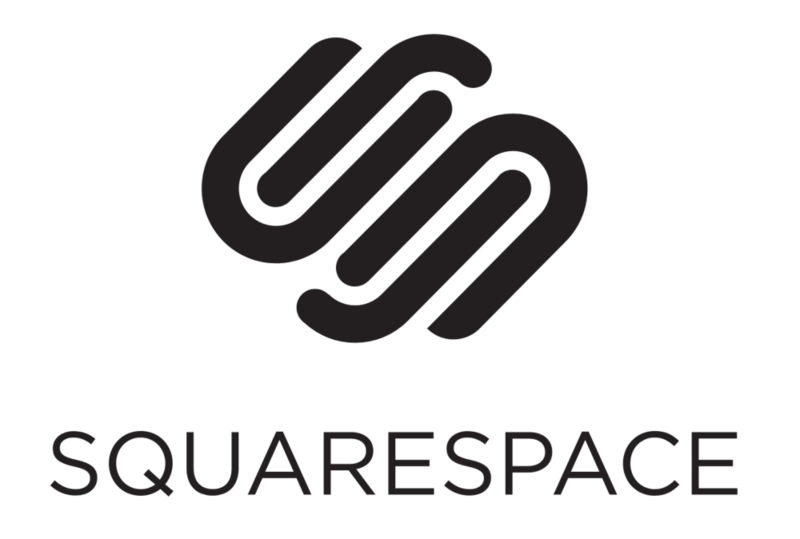 Relatively new to the CMS community, Squarespace offers some great features for bloggers and small business owners looking for a clean and customizable site of their own. Read the pros and cons below to learn more! If you like Squarespace, they also offer a 14-day trial to test out the waters. Squarespace’s customer support is amazing and will be there to help you out with any of your questions. They’re great on social media too, which is always a plus. Create a professional, responsive and beautiful looking website (without using any code!) with Squarespace’s designer templates and functional site options. They offer a ton of styling options to really make your site look unique. Squarespace handles all of the hosting and any updates you may need, so you’re able to relax and create content freely with peace of mind. It’s not free, but the pricing is still reasonable for business owners and bloggers. Because Squarespace isn’t Open Source, you only get features (plugins and themes) that Squarespace develops on it’s own. Squarespace may be a little overwhelming for people who need a site up in minutes. Take a deep breath, watch some tutorials and you’ll be up and running in no time! A favorite amongst fashion bloggers, Blogger is a free platform that allows anyone with a Gmail address to sign up. It’s relatively easy to use and good for bloggers without a lot of experience with design or technical know-how skills. However, Blogspot does not have a lot of capabilities and can look sort of generic if you don’t hire a designer to tweak your site. Below are some pros and cons of using Blogger! It’s free and simple to use! For fashion/lifestyle bloggers, Etsy has some awesome and affordable templates and themes for you to use. Because Blogger sites are hosted with Google, you rarely have to experience any server errors or site glitches. Blogger is not the platform you want to use if you need to create a small business/professional portfolio type of site. There’s not a lot of storage available, so you need to host your media (photos, videos) on another site and then upload to your blog. This is an extra step for most bloggers. If you want unique widgets or plugins, think again. You don’t have a lot of control over add-ons to allow you to customize your site even further. So which site is the best? Everyone has different needs, budgets, and skills so the real test is to try them all out and see which one fits your website dreams before committing to something off the bat. Good luck on making your very own blog or business website!